The member companies of CIES , a Food Business Forum, have elected Pierre-Olivier Beckers, President and Chief Executive Officer, Delhaize Group, as its new chairman. Pierre-Olivier Beckers will hold the position for the next two years. The Belgian retail group was one of the founders of CIES, 55 years ago. The CIES Board of Directors has been further strengthened with the arrival of two new board members Jeff Noddle, Chairman of the Board and CEO of Supervalu and Michael Luscombe, CEO of Woolworths Australia. Pierre-Olivier Beckers commented “CIES is a unique international organisation, providing a neutral place for debate between retailers and suppliers. As we enter challenging times, food and consumer goods companies play a vital social and economic role, by providing nutritious food and household essentials at everyday low prices. Pierre-Olivier Beckers (1960) has been President and Chief Executive Officer of Delhaize Group since 1999. Pierre-Olivier Beckers earned a Masters degree in applied economics at I.A.G., Louvain-La-Neuve and an MBA from Harvard Business School. He began working in the food retail industry in 1982, joined Delhaize Group a year later and worked in the U.S. operations of Delhaize Group as a store manager. After his return to Belgium, he broadened his retail experience as a buyer, director of purchasing, member of the Executive Committee and Executive Vice President in charge of international activities. In December 2004, he was elected to a four-year term as President of the Belgian Olympic Committee. 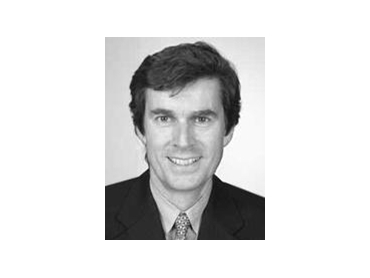 Pierre-Olivier Beckers is also Board member of Guberna and The Corporate Governance Committee. Delhaize Group is a food retailer headquartered in Belgium which operates in 7 countries. Delhaize Group was founded in Belgium in 1867. The principal activity of Delhaize Group is the operation of food supermarkets in North America, Europe and Southeast Asia. As 2006, Delhaize Group had a sales network (which includes directly operated, franchised and affiliated stores) of 2,705 stores and employed approximately 142,500 people. Store formats are primarily supermarkets, which represent 85% of Delhaize Group's sales network. Delhaize Group's sales network also includes other store formats such as neighborhood stores, convenience stores and specialty stores. In addition to food retailing, which accounts for approximately 95% of Delhaize Group's sales, Delhaize Group also engages in food wholesaling to stores in its sales network and in non-food retailing of products such as pet products and health and beauty products. In 2006, Delhaize Group recorded sales of EUR 19.2bn and net income of EUR 351.9 million. Michael Luscombe was appointed CEO of Woolworths Limited in October 2006. He began his career with Woolworths in 1978 as a graduate trainee at the Southland store in Victoria. In 1994 he moved into buying and marketing as a category manager before becoming Merchandise Manager – overseeing supermarket buying for Victoria under Woolworths’ former state-based buying structure. In 1998, Michael Luscombe moved to Sydney to join Woolworths’ growing corporate support office as National Manager Banking. In this role, Michael Luscombe was responsible for the development and launch of Ezy Banking. The following year saw Michael Luscombe take up the position of General Manager Supply Chain. Michael took on the job of Director of Supermarkets in August 2004, heading up the company’s largest trading division. During his tenure, Michael Luscombe oversaw the complex integration of 150 New Zealand supermarkets and 22 Action stores, acquired as part of the Foodland demerger. Michael Luscombe is Chairman of the Board of Directors of ALH Group, as well as Chairman of the Australian National Retailers Association. Michael is a graduate of Monash University. He and his wife, Karen, have three children. He is 55 years old. Woolworths Limited is made up of some of recognisable and trusted brands in retailing, serving millions of customers every day with great choice, low prices and good quality. As a group across Australia and New Zealand Woolworths Limited has more than 3000 stores and 180,000 employees. Jeff Noddle is chairman and chief executive officer of Minnesota-based Supervalu, a grocery retail company and food distributor in the United States, a position he has held since 2002. Jeff Noddle joined Supervalu in 1976 and held a variety of leadership positions across the company’s retail and supply chain operations. In addition to his role as chairman of the Supervalu board of directors, Jeff Noddle serves on a number of industry and corporate boards. He is immediate past chairman of the board of directors of The Food Marketing Institute (FMI) and continues to serve as an officer and a member of its executive committee. He is a member of the board of directors of Donaldson Company and Ameriprise Financial. He serves on the boards of The Food Industry Center at the University of Minnesota, the Academy of Food Marketing at Saint Joseph’s University in Philadelphia, Pennsylvania, and the Independent Grocers Alliance (IGA). In addition, he is a member of The Business Council, a national organisation of CEOs. Jeff Noddle is active in Minneapolis civic affairs, currently serving on the Greater Twin Cities United Way board of directors and executive committee, the University of Minnesota Carlson School of Management’s Board of Overseers and as a member of the executive committee of the Minnesota Business Partnership. Supervalu is a US-based retail and wholesale company operating discount, supercentre and supermarket formats targeting varying demographics. The company posted full-year sales of USD 44bn for 2007, generating net profits of USD 593 million. It operates about 2,500 stores. From its premium banner Bristol Farms to price-impact supermarkets such as Shop n’ Save, the company has historically operated a decentralised strategy with high regional autonomy. With the acquisition of Albertsons, which was completed in 2006, Supervalu was transformed from a company with an equal emphasis on retail and supply chain services, to a company today with approximately 80% of revenues from its retail operations across the United States.